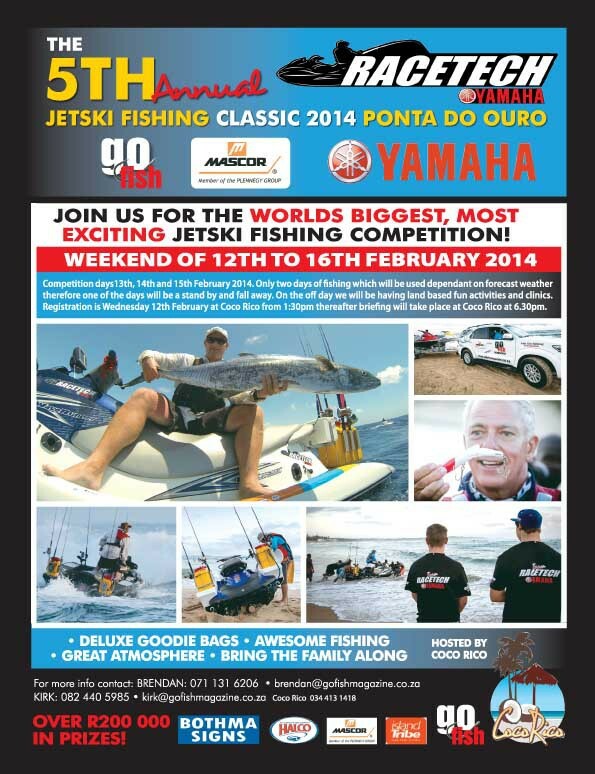 Proudly brought to you by Go Fish and sponsored by Yamaha, Racetech Yamaha, Mascor, Bothma Signs and many more. The event runs from the 12th to 16th February. Registration is 12th February. Competition days are 14th and 15th February with the 13th set aside as an extra day in case of bad weather so same format as the 2013 comp. Basically the two best days weather wise will be used as compo days. On the day off we will have a clinic and/or a land based event/competition. Bring the family along as there is loads of fun for everyone.